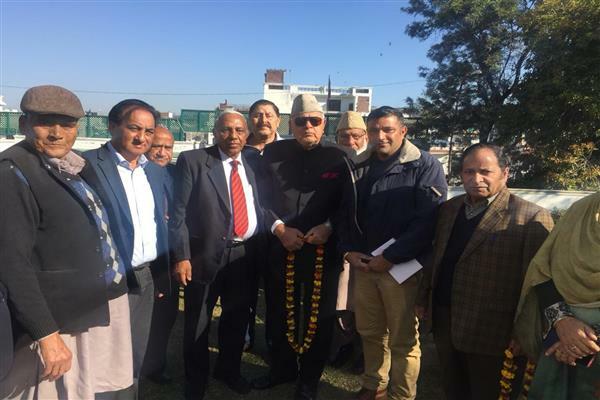 SRINAGAR, March 10: Former Chief Engineer Abdul Hamid Sheikh on Sunday joined National Conference in presence Dr Farooq Abdullah here. Welcoming Abdul Hamid Sheikh in the party fold, National Conference President Dr Farooq Abdullah hoped that he will work for strengthening the party at the grass roots level and help in achieving the objective of empowering people politically and mitigating their problems. 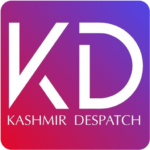 Abdul Hamid Sheikh, who hails from Surankote in Poonch District, reposed his faith in the leadership of Dr Abdullah and Working President Omar Abdullah, saying National Conference alone can steer the state to peace and progress. “The track record of the party stands testimony to the fact that National Conference has all along worked for upliftment of the people, especially those belonging to weaker sections of society besides remote and border areas, and ensured equitable development of Jammu, Kashmir and Ladakh”, he added. Prominent among those present on the occasion included NC State Secretary Rattan Lal Gupta, Provincial Secretaries Sheikh Bashir Ahmed and Pradeep Bali besides Sr Vice President NC District Committee Poonch Hamid Rana. Abdul Hamid Sheikh was profusely garlanded and greeted by the party leaders on his joining in the National Conference.